The Russian word “laika” is a noun derived from the verb “layat” which literally means “barker”. 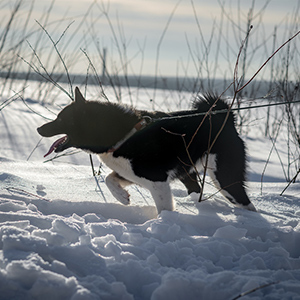 Which is probably no coincidence as these dogs were bred for hunting in northern Russia and Sibera. 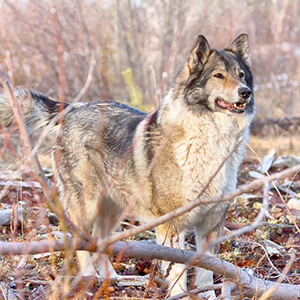 Although their exact origin is not documented, genetic testing of Spitz-type dogs, of which the Lakia is one, has found that this group is most closely related to wolves. This too is congruent with their known geographic origin. As the story goes, ancestors of the Laika breed were mated with wolves, and through selective breeding for temperament, we have arrived at the present day incarnation. 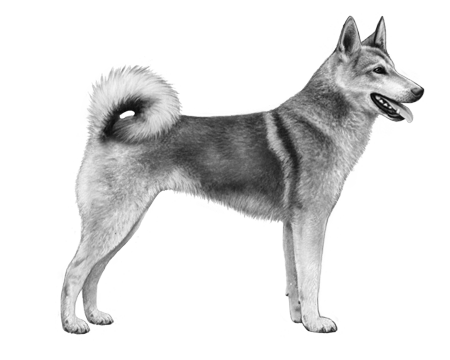 A medium-size dog, the Laika features a thick double coat with harsh straight hairs and a soft undercoat. 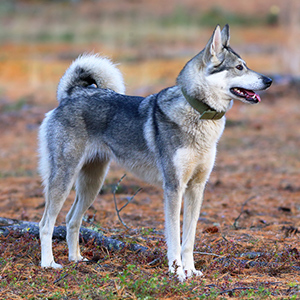 Usually black and white they can also sport a coat color reminiscent of their early ancestors of “wolf” gray or red, or a pale red. 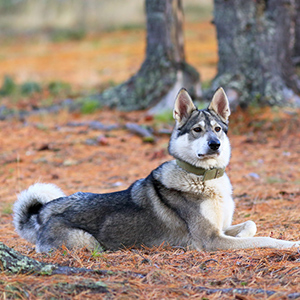 Those with a gray coat can vary from very light to very dark. Some coloring may also have patches of white in different proportions.